A smashing performance from the Mick Channon’s very own homebred THE NIGHT PORTER saw yet another of Sixties Icon’s progeny break his maiden tag by taking the Class 5 mile and a quarter maiden for three year olds and upwards convincingly under John Egan. This was a very satisfying performance for an individual who only made his racecourse debut at the end of May and Mick is looking forward to what’s in store. “We had to give this lad time because he was a very scopey and gangly juvenile who was all over the shop last year and, I’ll be honest, I didn’t know what to expect when the new year came. “To our delight, he thrived and once we got him going in the spring you could tell that he had a bit about him and his third placed finish on debut at Brighton was very encouraging. 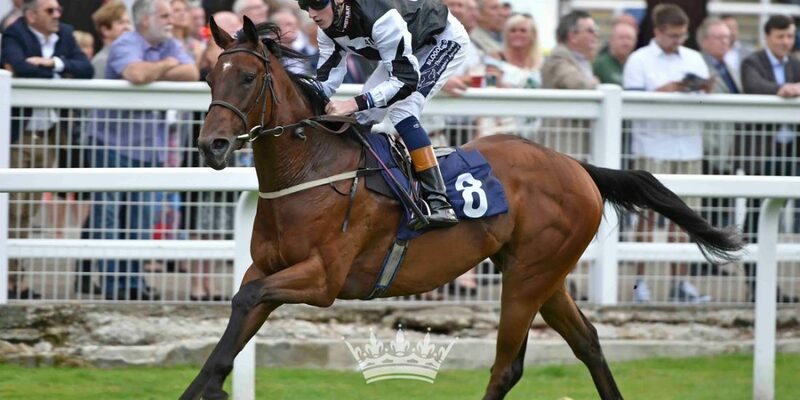 A pleasing win for West Ilsley’s Box 41’s KNOCKABOUT QUEEN who took the juvenile six furlong seller at Windsor to get the syndicate off the mark for 2018, the daughter of Sixties Icon being bought in at the ensuing auction for 10,500 guineas. 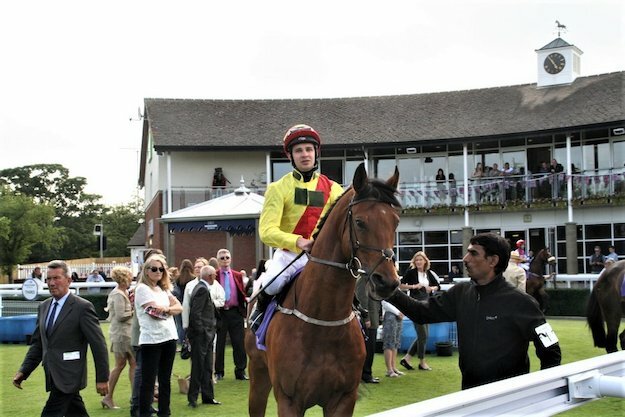 She again showed promise next up at Beverley but trainer Mick Channon was keen to get her on the winning trail and she did that convincingly under David Egan. “She did that very nicely and having trained the mother, this is a filly who I was keen to get going because she’s tailor made for racing, it’s was just a matter of getting her head in front. It’s always great to see a horse come back again and again to the track, always try his best and enjoy success through sheer willingness. At Lingfield, Peter Taplin’s FITZWILLY recorded his seventh win as the eight year old son of Sixties Icon took the Class 5 extended two mile handicap under David Egan in convincing fashion. FITZWILLY is a lovable, consistent type who usually comes good once the handicapper relents and he was prominent throughout and positively romped home by five clear lengths ahead of Galileo’s Spear to leave Mick delighted but slightly fearful of the consequences. “Chuffed for the horse and chuffed for Peter who gets a lot out of enjoyment out of the old boy. He’s won off 62 there which is four pounds less than his last win in August but he never seems to give up this lad. Not by Sixties Icon but a first foal winner out of our resident mare Bridie Ffrench (Bahamian Bounty), SOLESMES has got another of our bloodlines going. 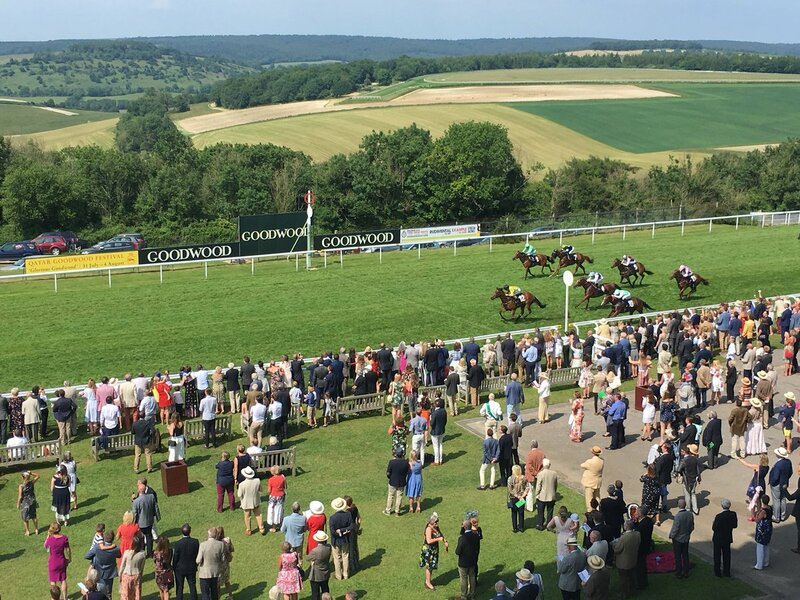 A third winner in three years for West Ilsley in Goodwood’s valuable juvenile seller after Billy’s Boots (2016) and Milton Road (2017) saw Mick Channon’s homebred filly SOLESMES (Gregorian) take the £10k prize under David Egan on Sunday afternoon. 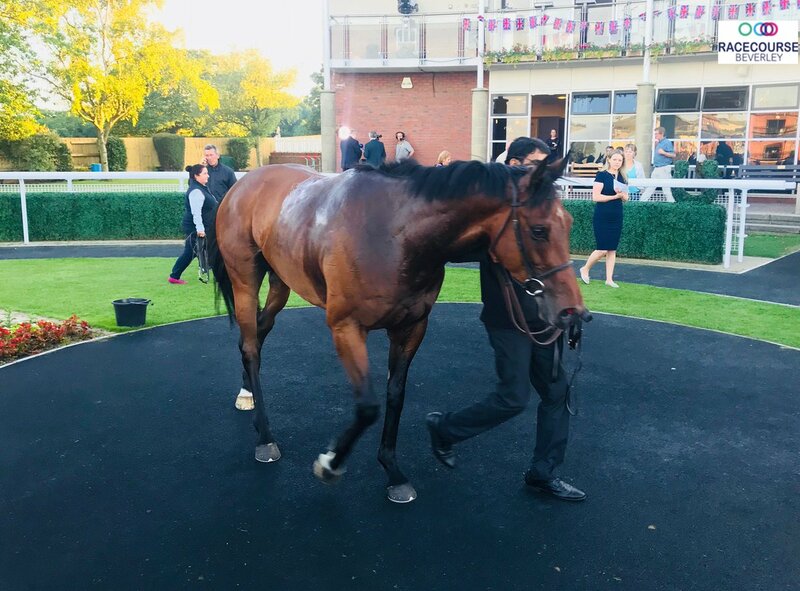 After decent efforts in maiden company at both Windsor and Beverley, SOLESMES became first season sire Gregorian’s fourth individual winner of 2018 in fine style, benefitting from the strong pace on the stands rail to assert in the closing stages and run out a length and three quarters winner for a delighted Boss. “That was a convincing performance and she’s another first foal winner from Norman Court Stud who has now got her dam Bridie Ffrench on a roll. She was a decent filly in her own right and won a couple for us and she’s a half sister to a Listed winner Cruck Realta. 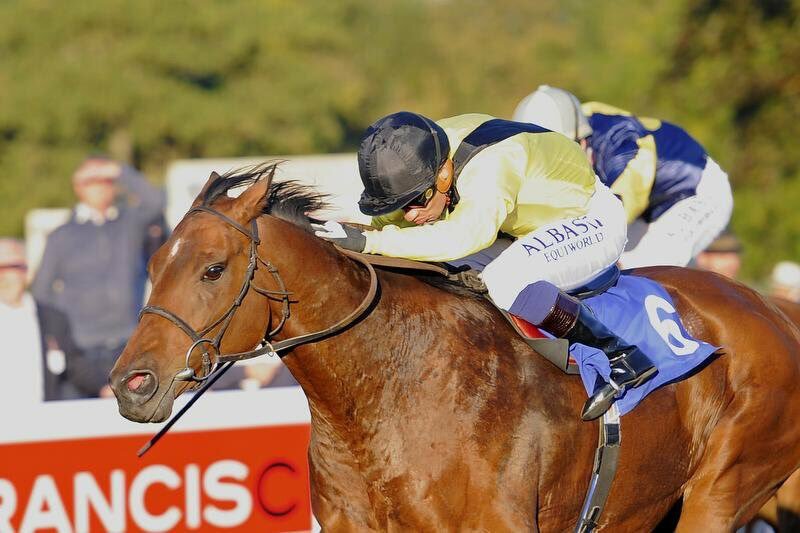 SOLESMES – 3,000gns F; first foal; dam 7f turf/1m AW winner (RPR 79), half-sister to 1m2f Listed winner Cruck Realta out of 1m2f selling winner, is granddaughter of modest 1m4f/1m5f winner. HATS OFF TO LARRY carried William Harrison-Allan’s colours to victory in the Class 5 extended mile contest with Charlie Bishop up to finally break his maiden tag. The path to the winner’s enclose has been a long one for HATS OFF TO LARRY who whilst not short of ability, has been slow to grow between his ears, but the penny has certainly dropped now and there was no messing about in this contest. Charlie had him prominent throughout and as they straightened up for home he stormed up the hill under top weight to beat a well strung out field in convincing fashion. HATS OFF TO LARRY was placed on four occasions in his eight previous starts and having eased in the weights (now down to 70 from a high of 76 at the start of the year) he grabbed his chance to the delight of his trainer. HATS OFF TO LARRY – First foal; dam unraced half-sister to winners Highland Quaich (7f AW), Highland River (1m and 1m3f AW/2m3f hurdle and 2m5f chase) and Highland Harvest (multiple 5f-1m), is granddaughter of 1m winner. So, there you go – Sixties Icon and the stud are having a good run – all we need now is a Royal Ascot winner to make it all seem so easy. It never is though is it! ?